London's former mayor Ken Livingstone has once again hit headlines for peddling anti-Semitic stereotypes, after he claimed that Jews tend to vote for the right-wing Conservative party because they are wealthy. The comments were made Tuesday night in an interview with BBC Newsnight, in which Livingstone, who also served as a Labour MP in the past, claimed that income, rather than ethnicity, was the single biggest factor in determining how people vote. But that seemingly innocuous suggestion took on an altogether more sinister tone, as he continued to assert that because the Jewish community is "rich" most Jews had switched their allegiance the Conservatives. "If we were talking 50 years ago, the Roman Catholic community, the Irish community in Britain, the Jewish community was solidly Labour. Still the Irish Catholic community is pretty still solidly Labour because it is not terribly rich," he said, but continued: "As the Jewish community got richer, it moved over to voting for Mrs Thatcher as they did in Finchley." Speaking to The Telegraph, Adrian Cohen, chairman of the London Jewish forum, rejected the comments. "It's pretty obvious that politicians shouldn't write off parts of the electorate based on crude assumptions about their perceived relative affluence," he said. More to the point, the suggestion that all Jews are wealthy was simply untrue. "Many Jews are not rich, indeed many struggle to make ends meet," he pointed out. "In any event there are many factors which influence how a person chooses to vote and one shouldn't refer to Jewish Londoners as if they were homogeneous." 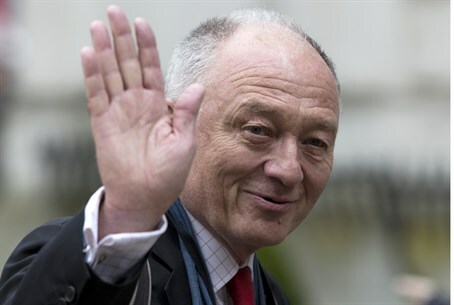 Livingstone made similar comments during his failed reelection bid for London mayor in 2012, when he told a group of Jewish Labour activists that he didn't expect most Jews to vote for him "because they are rich". The meeting was held to help Labour's campaign within the Jewish community, where even veteran Labour supporters were refusing to vote for Livingstone due to his record of anti-Semitic and anti-Zionist positions. In a letter obtained by the Jewish Chronicle in March 2012, those present at the meeting told how "Ken, towards the end of the meeting, stated that he did not expect the Jewish community to vote Labour as votes for the left are inversely proportional to wealth levels, and suggested that as the Jewish community is rich, we simply wouldn't vote for him." Livinstone, who earned the nickname "Red Ken" for his identification with the hard-left faction within Labour, has a long and inglorious record of anti-Semitism. In 2009 he famously embraced radical Islamist cleric Sheikh Yusuf al-Qaradawi, a spiritual leader of the Muslim Brotherhood who actively encourages suicide bombings against Israeli civilians and has referred to Jews as "the sons of apes and pigs." Qaradawi has also claimed that the Holocaust was a "punishment from Allah" and said he hopes the next Holocaust against the Jews would be carried out by Muslims. "Throughout history, Allah has imposed upon the Jews people who would punish them for their corruption…" he said in a public address just months before being invited as then-mayor Livingstone's official guest in London. "The last punishment was carried out by Hitler. By means of all the things he did to them – even though they exaggerated this issue – he managed to put them in their place. This was divine punishment for them… Allah willing, the next time will be at the hand of the believers." Livingstone continues to insist Qaradawi is a "moderate", as the cleric only advocates terrorism against Israel civilians - not the UK.